A-HOTEL.com - Luxury and cheap accommodation in Gikhi, Russia. Prices and hotel, apartment booking in Gikhi and surrounding. Located in Groznyy, 12 km from Akhmat-Arena, Tiynalla Hotel provides accommodation with a garden. Among the facilities of this property are a restaurant, a 24-hour front desk and valet parking, along with free WiFi. Located in Groznyy, 8 km from Akhmat-Arena, Daymohk has a number of amenities, including a shared lounge, a bar and free WiFi. The accommodation features a 24-hour front desk, and buying tickets for guests. Gostinitsa Laman-az is located in Groznyy, 6 km from Akhmat-Arena. Staff on site can arrange airport transfers. Situated in Groznyy in the Chechen Republic region, Apartment on Millionshchikova 63 has a balcony. The Akhmat-Arena is within 6 km of the apartment. Featuring air-conditioned accommodation with a balcony, The Caucasus is set in Groznyy. This apartment is 6 km from Akhmat-Arena. Minutka Hostel is located in Groznyy, 6 km from Akhmat-Arena, and features a shared lounge. The accommodation offers free WiFi. 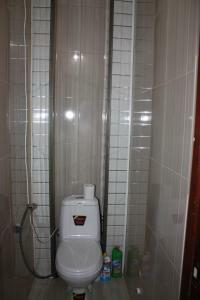 Caucasus Hotel offers accommodation in Groznyy. Free WiFi is available. Set in Groznyy, within 6 km of Akhmat-Arena, 32 улица Розы Люксембург offers accommodation with free WiFi, air conditioning and a shared lounge. This property offers access to a balcony. 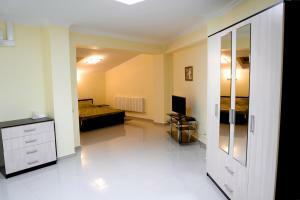 Set in Groznyy, within 6 km of Akhmat-Arena, Roma l offers accommodation with air conditioning. Guests staying at this apartment have access to free WiFi. Situated in Groznyy, 5 km from Akhmat-Arena, Dona Hotel provides air-conditioned accommodation with free WiFi. Boasting a 24-hour front desk, this property also provides guests with a restaurant. Situated 6 km from Akhmat-Arena, Mini Hotel Uyut on Prospekt Putina 8 provides rooms with air conditioning in Groznyy. Among the facilities of this property are a restaurant, a 24-hour front desk and a tour desk, along with free WiFi. 6 km from Akhmat-Arena, Central City Hotel Grozny is located in Groznyy and provides rooms with free WiFi. The accommodation offers a 24-hour front desk, and buying tickets for guests. Situated in Groznyy, within 5 km of Akhmat-Arena, Апартаменты offers accommodation with free WiFi and air conditioning. Guests staying at this apartment have access to a fully equipped kitchen. Set in Groznyy, within 6 km of Akhmat-Arena, Apartment on avenue Putin is an accommodation offering city views. Free WiFi is available. 5 km from Akhmat-Arena, Uyut on Prospekt Putina 19 is located in Groznyy and provides air-conditioned rooms with free WiFi. All rooms boast a kitchen, a flat-screen TV with cable channels, and a shared bathroom. Featuring a spa centre, a sauna and fitness centres, this hotel is located in Grozniy city centre, 5 minute’s walk from the Heart of Chechnya Mosque. It offers rooms with a minibar. Located in Groznyy, just 6 km from Akhmat-Arena, Апартаменты features accommodation with free WiFi. Guests staying at this apartment have access to a fully equipped kitchen. Set in Groznyy, Hotel Sport offers air-conditioned rooms with free WiFi. All rooms feature a flat-screen TV with satellite channels and a private bathroom. Located in Groznyy, in a building dating from 2015, 21vek Hotel provides a bar and guestrooms with free WiFi. The property is situated 3. Stolitsa Inn is located in Grozny. Free WiFi access is available.